The most important part of your treatment plan, in the long-term, is following a good anti-Candida diet protocol. When following this plan, everything you eat will be designed to a) stop feeding the Candida, b) kill the overgrowth, and c) strengthen your intestines and immune system. Your body has been fighting a very tough battle and the last thing you want to do is give the Candida yeast organism anything at all that might support growth. The trick to a successful anti-Candida diet is to plan your foods in advance. You’ll also want to grocery shop and prep your foods regularly so that what you can eat is always readily accessible to you. While this diet is very low in sugar (almost none at all) and anything related to yeast, you will want to make sure you maintain a wide level of variety so that you don’t get bored or frustrated. The diet does seem limiting at first, but once you’re into it you’ll find it easier and easier to follow. The diet protocol to rid your body of Candida albicans is generally broken down into three main phases. Each is slightly different and the first, the cleanse, is the most restrictive. As you move through the different stages you will be able to reintroduce different foods to your diet. And, hopefully, you’ll be following a new, healthy nutrition plan for life. 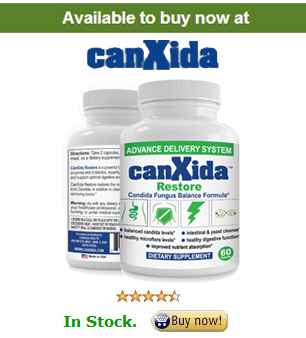 The first phase of the anti-Candida diet is a Candida cleanse. This phase is very restrictive and is designed to flush as much of the Candida organism from your body as possible. During this phase you will limit yourself to raw salads, steamed vegetables, detox beverages, and plenty of filtered water. You’ll stay in this phase for a few days – no longer than a week. Because Candida lives naturally in your intestines, they tend to multiply there before leaking through your intestines into your body. This cleanse specifically targets your intestines in order to give you a fresh start as you move on with your treatment. While the cleanse serves as a jump-start, the diet itself is the most important. The foods you’ll eat during this phase are more varied but are still designed to starve the Candida organism in your body, creating more die-off. During this phase you will have to avoid all added sugars, fruits, starches, and carbohydrates. Caffeine should be avoided as well. You’ll also add foods and supplements, like antifungals and probiotics, that will help your body to strengthen the immune system and better fight the recurring growth of Candida. You’ll want to carefully review our list of foods to eat and foods to avoid to make sure you are consuming a diet that is as balanced as possible. Some people stay in this phase for a few weeks, while other stick with the diet for months at a time. The length of time you stay with the diet will depend on the severity of your overgrowth. The final phase of the diet is where you will introduce some of the foods you used to eat back into your diet. This is where things get tricky. You’ve spent a great deal of time leaning to eat a diet full of whole foods – fresh and organic. Going back to a diet full of fast-food and processed junk will do you no good at all. There are other healthier foods you can reintroduce, though. Start with fruits that are low on the glycemic index scale, like apples. Beans are relatively healthy but have also been avoided, so introduce them as well. Make sure you only introduce one new food at a time. By doing so you are giving yourself the opportunity to observe how your body reacts to each food item. If you begin to feel ill or experience negative symptoms, you will know that you should add the food item that caused those feelings to the list of foods you should avoid moving forward. The anti-Candida diet does take a lot of time and planning, but will ultimately help you to not only clear up your infection but to also make healthy dietary changes that stick with you for life.